This summer El Siebert turned 80 years old and he celebrated his birthday with family and friends. He stopped by to share his hand made birthday invitations with his address and directions. He was ordering enough cake for 80 people so he thought he should invite as many as he could to his party. Nancy and Susan, CEO/Co-Founder and Dir. Of Operations couldn’t pass up the opportunity to attend this neighborhood event! Mr. Siebert likes to stay active so he organized a bike ride down Snake Hill as one of his birthday activities. Nancy and Susan got to meet El’s siblings and his son along with his son’s friend. They toured Mr. Siebert’s deck which gives a spectacular view to the bluffs. They visited the multiple gardens and small orchard that El maintains using organic production practices. 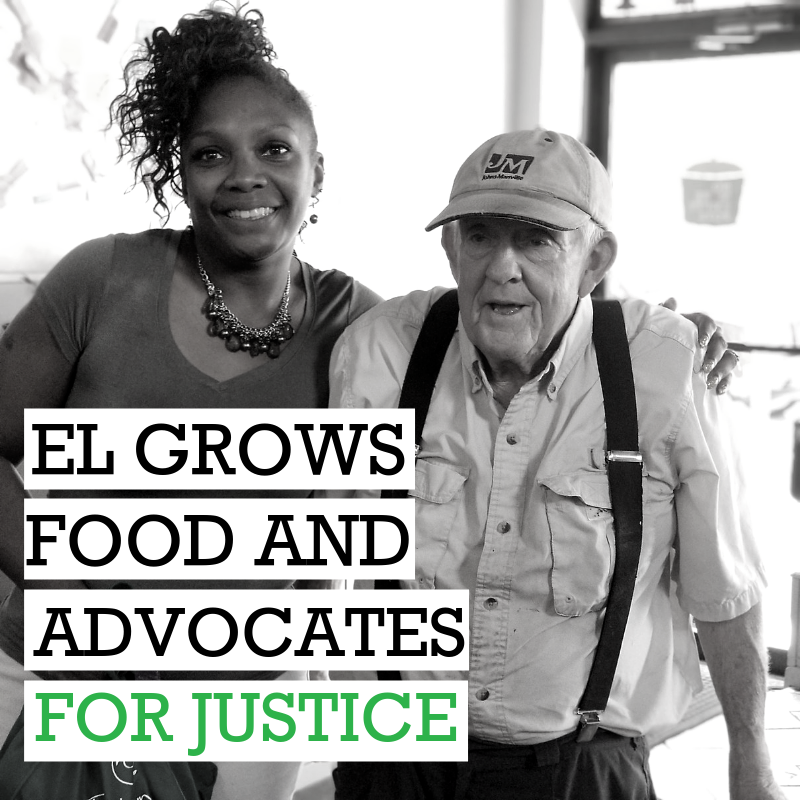 El stops by the NMEP office regularly dropping off extra produce from his garden. Nancy and Susan saw firsthand where the excess produce comes from and the care with which he takes in growing food for himself and others. Mr. Siebert continuously reminds us of the fierce advocacy that he has for his neighbors. So much so that he was recently honored by the community with an award from YouTurn to recognize his passion and hard work. Surrounded by his peers, he was beaming with pride. We need neighbors like El and are excited to celebrate with him. Like Mr. Siebert, we passionately care about our neighbors. Join us in advocating for and supporting a thriving community, click the button below.